With the frequent reporting changes by the Central Bank, it has become a challenging task, requiring significant time and resources from banks. Preparing, running and delivering these reports are creating significant overtime and is time consuming for IT and Compliance officers. The in-house developed and maintained Greenlight solution is customized for each jurisdiction to automatically create and deliver all required reports according to Basel II and III regulations. This solution drastically reduces manual interventions. Our Regulatory reporting experts also work closely with Central Banks and Financial Institutions throughout the Caribbean as a guide and advisor through the preparation for and implementation of standards and processes. The Greenlight solution will include all standard Central Bank schedules for all reporting levels. As such, no report development is required after the acquisition of the solution that can be implemented in-house or hosted at a Tier IV Certified data center. 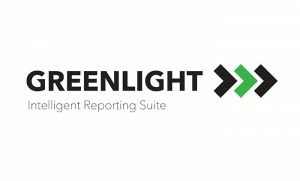 Greenlight standardizes all relevant reporting data sources to enable an automated process in an enhanced environment with complete audit capabilities. This includes both technical and functional validations and calculations such as report allocations, netting and consolidation. The reporting process includes automated data delivery for a rapid and error free delivery to the regulator. Once the solution is implemented, the reports can be run without any additional programming or complex inquiries that usually require involvement from IT departments. After the implementation of Greenlight financial institutions experience 60-80% improvement in the preparation time of Regulatory Reports.